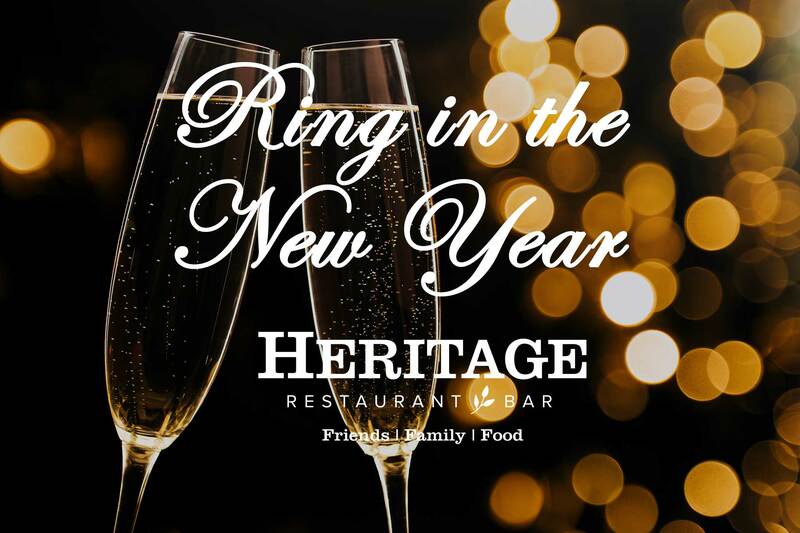 Ring in the New Year at Heritage! Feeling fancy? Chef Bre has a special New Year’s Eve Menu with all the goodies: Dry Aged New York Steaks, Lobster, Foie Gras, Caviar, Duck and Select Champagnes, NYE cocktails and much more! Feeling low key? Join us in the bar where we are offering the HRB Bar Menu (available in the bar only), including the guest favorite, the Heritage Burger: 8 oz. natural angus chuck, cheddar, crisp bacon, horseradish mayo, lettuce, tomato, onion, on buttery toasted bun with the almost world famous house cut frites. Come as you are for a bar menu item or indulge in a treat from the special NYE menu or mix it up, high low from either menu. We will also be serving bubbles and NYE inspired cocktails for the occasion! Split plate fee: $4 * Consuming raw or undercooked meats, poultry, seafood or eggs may increase your risk of foodborne illness. Not all ingredients are listed in menu descriptions. Please ask your server if you have any concerns. Menu items and pricing are subject to change due to seasonality and product availability. We thank you for your understanding. * Consuming raw or undercooked meats, poultry, seafood or eggs may increase your risk of foodborne illness. Not all ingredients are listed in menu descriptions. Please ask your server if you have any concerns. Menu items and pricing are subject to change due to seasonality and product availability. We thank you for your understanding.